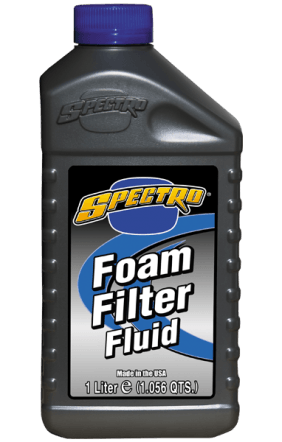 Designed by racers for racers that know the difficulties of a quick and easy foam filter maintenance program, this pour-on fluid is thick enough to stay put and not drain to the bottom of the airbox; yet it is also sticky enough to grab onto even the finest dust. It can do this and still provide the highest air flow possible, even as it resists the passage of water. Foam Filter Fluid may be used on all OEM and aftermarket foam filters, but do not use on gauze, fabric or paper filters.